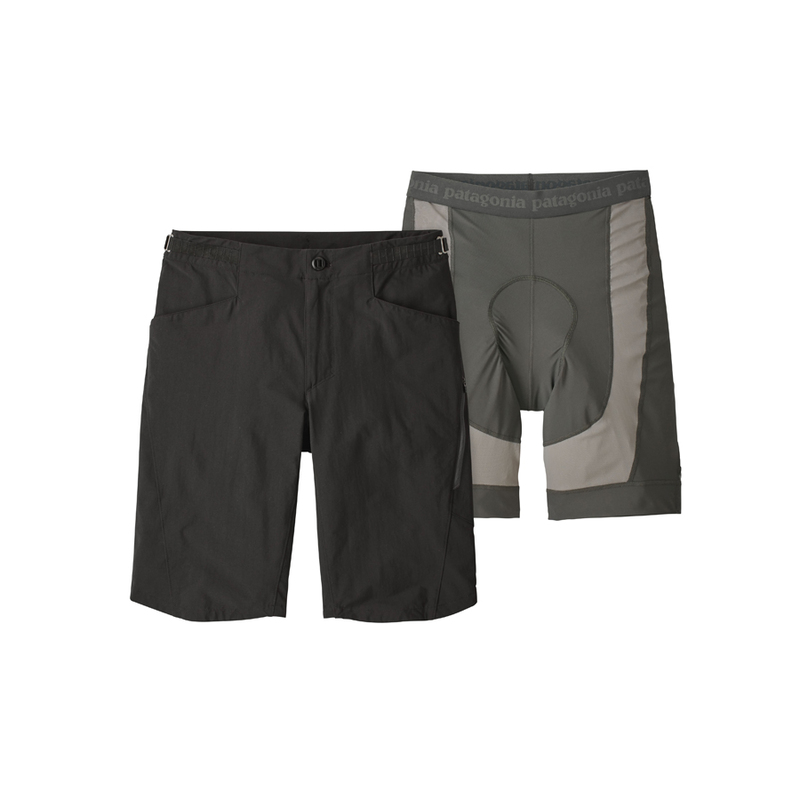 Mountain-biking shorts featuring a durable, removable liner and chamois pad with versatile, breathable and adjustable outer shorts. The Dirt Craft Bike Shorts combine a removable, durable, 3-layer mountain bike-specific padded liner with a do-anything outer short. The comfortable and supportive polyester/spandex stretch liner incorporates power mesh panels for enhanced breathability and connects to the stretchy, quiet, plain-weave nylon/spandex outer short fabric (now with recycled content) via a discreet snap-loop. An improved, low-profile hook-and-webbing system fine-tunes the waist. Other details include a DWR (durable water repellent) treatment, drop-in hand pockets, a secure zippered pocket (fits most phones) on the side of the left thigh, and reflective logos at left-side hem and right-back hip. With articulated waistband, 11.5" inseam, updated fit and refined pocketing. Outer shorts: 4.2-oz 95% nylon (65% recycled)/5% spandex stretch plain weave with a DWR (durable water repellent) finish.